Probiotics can be an effective tool for your anti-inflammatory toolbox. With increasing understanding about the role that low-level, chronic, systemic inflammation plays in the development of chronic diseases like heart disease, type 2 diabetes, and cancer, there’s increased interest in using diet to prevent or fight inflammation. Emerging research suggests that probiotics may be a valuable addition to an anti-inflammatory diet. What Are Probiotics? Probiotics are bacteria and other microorganisms that offer health benefits when we have enough of them. They do this by promoting a balanced, healthy gut microbiota—the population of more than 100 trillion microbes that live in our gut, or large intestine. Our intestinal wall is a key player in our immune system, and a healthy gut microbiota helps the immune system defend against foreign invaders only when there’s an actual threat. That’s important, because inflammation is the immune system’s biggest weapon—you don’t want it to be deployed when it’s not necessary. How Probiotics Interact With The Gut. Probiotics—along with the beneficial microbes already living in your gut—interact with the cells lining your intestine. Research suggests these good microbes have the ability to “turn on” genes that produce anti-inflammatory cytokines (molecules that let cells talk to each other) and “turn off” genes that produce the cytokines that encourage inflammation. By supporting a healthy gut microbiota, probiotics can also keep the gut lining healthy and the immune system calm. Also, while you may think of fats as something you get only from food, as our good gut bacteria digest prebiotics— food ingredients that enhance the health and growth of beneficial microorganisms in the gut—they produce short-chain fatty acids, which also have benefits for health. Still More to Learn About Probiotics. Even though the research on probiotic supplements is promising, many experts believe that it’s too soon to make specific recommendations to include them as part of a diet to prevent or reduce chronic, low-grade inflammation. Jens Walter, PhD, an associate professor at the University of Alberta, who researches the role of gut microbes on human health, says even though there is evidence to support a role for probiotics in immune health, effects will depend on the product or specific strain (type) of bacteria. “Consumers should make sure that scientific evidence exists for the specific product, that it does, in fact, reduce inflammation. Unfortunately, such information is not necessarily easy to come by, and even experts might not agree on the best probiotic strain to use for a certain condition.” He added that a combination of Bifidobacterium strains may be beneficial. 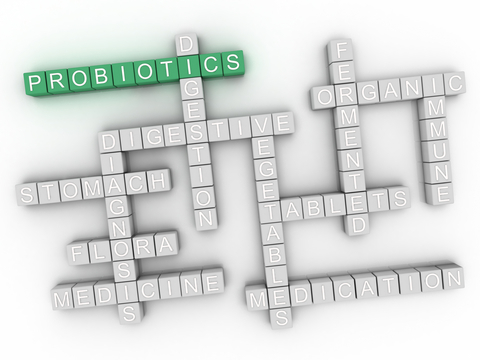 Choosing Probiotic Supplements. One reason this information is hard to come by is that the Food and Drug Administration doesn’t allow health claims about inflammation. “Because dietary supplements are not able to communicate on inflammation, it is difficult for consumers to know what products, if any, can downregulate chronic inflammation,” says Mary Ellen Sanders, PhD, executive science officer for the International Scientific Association for Probiotics and Prebiotics. Eat Your Probiotics. Research shows that probiotic-rich foods, like fermented dairy (yogurt, kefir, cheese), vegetables (sauerkraut, kimchi), soy (miso, tempeh), and beverages (kombucha, kvass) have some anti-inflammatory benefits—plus they’re nutritious in their own right. Eating a diet rich in high-fiber whole plant foods, such as legumes, whole grains, vegetables, fruits, nuts, and seeds can help feed those beneficial gut microbes too. Combine first six ingredients in blender and allow to sit in the refrigerator overnight. In the morning, add the banana, blueberries, and baby spinach, and blend. Nutrition Information Per Serving: 322 calories, 7 grams (g) fat, 2 g saturated fat, 55 g carbohydrate, 18 g protein, 9 g dietary fiber, 27 g sugar, 131 milligrams sodium. Tags 2 diabetes, acidophilus, add, anti inflammatory, anti inflammatory benefits, anti inflammatory diet, arthritis, bacteria, best probiotic, bowel disease, calories, cancer, chronic inflammation, dairy, diabetes, diet, dietary supplements, fermented dairy, fiber, food, gut bacteria, health, healthy gut, heart disease, immune health, immune system, inflammation, inflammatory bowel, inflammatory bowel disease, nutrition, nuts, probiotic supplements, probiotics, protein, recipe, reduce inflammation, sauerkraut, short chain fatty acids, smoothie, soy, spinach, studies show, sugar, supplement, supplements, type 2 diabetes, vegetables, whole grains, yogurt.